Instead of double-clicking on my practice files, I used localhost:8000 in the browser URL bar, navigated to my D3 Projects folder, clicked on the html link there, and boom! The files I thought were broken and wasted an hour trying to fix were in fact fine. It was security theater protecting me from myself. Good times, good times. Of course, I hadn’t actually done any work so far, just troubleshooting. 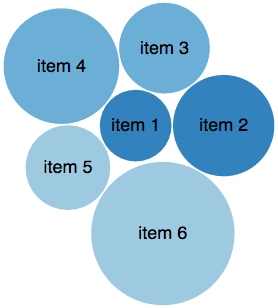 The goal is to figure out how to get my own data into a proper formats for the vizzes. First up, the Sankey. I was able to grab the source data file and figure it out: first you declare all the node names (source and target), and then you declare all the source>target links and their respective counts. It was fun to finally figure this out. At my previous gig, there was interest in creating these types of visualizations for the college's administration and other groups, for exploring flows like Undergraduate Degree -> Employment Field, or Undergraduate Field -> Graduate Field. There were a lot of catches around roll-ups however (minimizing nodes to reduce clutter), and the project never really got off the ground in any official capacity. As an example of too many nodes, here's some beer data I was playing with: 51 states, 96 styles, 3680 total beers. Way too many nodes on each side! But it was a valuable exercise in writing scripts in Excel and InDesign to turn spreadsheet data into JSON text, so it was worth it now that I've got those methods down. On to Bubble Charts! I don't know why I bothered, because those dead simple to do in Tableau, but I was on a roll. The data sample at that link is a crazy, nested mess, but I was able to unwind it enough to figure out the data structure. The outer wrapping "name" has to be the name of the file you call from your script, and all the bubbles are in a "children" wrapper, with "name" and "size" designations. Each group is automatically given its own shade. Why they're so similar, I have no idea, but I plan to dig in to formatting soon. Mind your braces, brackets, and commas! 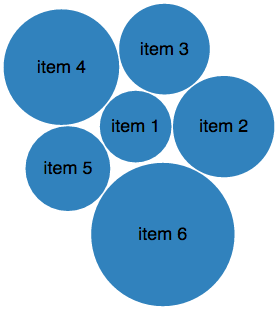 Stray ones or missing ones are nothing but trouble, and are the first thing to look for if your viz page comes up blank. Here's a chart using the beer ratings data from this post. The circle sizes represent the number of beers reviewed in that style, and the colors represent the style groupings according to the 2008 BJCP guidelines, as I haven't reorganized my groupings to match the new 2015 list. In terms of data structure, the first children of the chart are the 26 style groupings, and each of them has the individual styles as children. After this video, I tried 51 marks (the states) and had the same problem. Then I started with a fresh generic Excel file with 25, then 50, then 75, then 100 items with text sizes of varying lengths, and had no problems. I don't know where the bug is yet, but with a real working XL file, I could not get all my bubbles to display. Next step: figure out formatting. I'd like more control over colors, font contrast, etc. Also, figure out the data structures for more chart types, especially hierachical edge bundles, node-link trees, Voronoi maps, and choropleth maps.